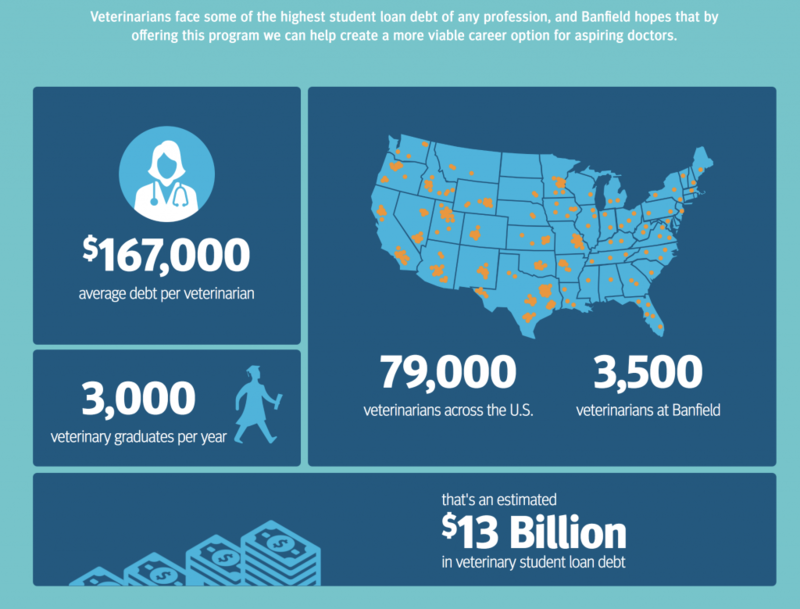 Who is stressed about veterinary student debt? I was! When I graduated from Cornell University College of Veterinary Medicine back 20 years ago, I graduated with 6-figure debt. I was grateful to my parents for covering my undergraduate (of which I only attended for 3 years, while also being a Resident Advisor to get free room and board). But the stress from graduate school debt was overwhelming. Sold my textbooks as soon as I was done with them! I lived as frugally as I could. After I graduated with over $100,000 in debt, I went on to do a small animal internship at Angell Memorial Animal Hospital (associated with the MSPCA) followed by a 4 year residency and fellowship in emergency critical care at University of Pennsylvania School of Veterinary Medicine. And despite being paid approximately $17,000-$24,000 during those extra 5 years of training, I was still able to pay off my debt within 11 years. All, by living like a broke veterinary student for as long as I could and paying off my debt as quickly as I could. While I lived paycheck to paycheck, I didn’t have the option for an emergency fund (2-3 months of extra living expenses in case of an emergency) – thankfully, I knew I could always move in the basement with my parents in a bind! One of the reasons why veterinary student debt is so appalling is because of the debt-to-income ratio. While medical doctors, dentists, orthodontists, etc. also have similar debt, they typically earn 2-10X what a veterinarian does. As a result, it’s harder for veterinary professionals to pay off that debt. 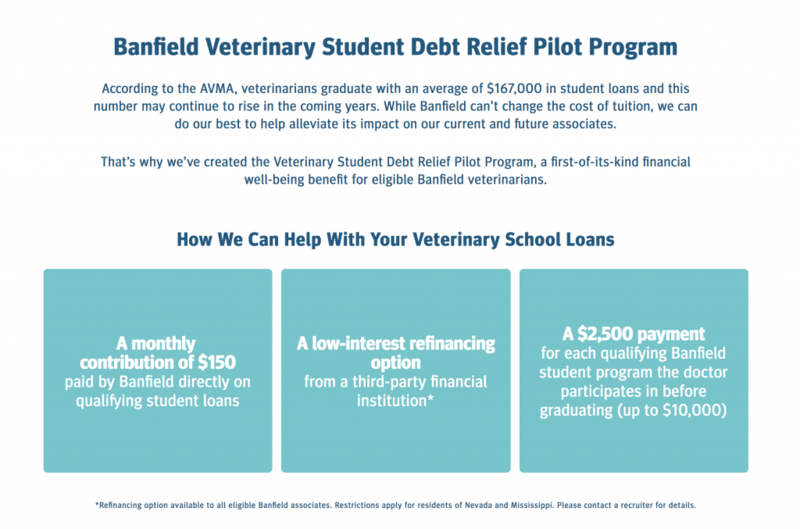 So, I’m excited to see Banfield recognize the significant stressor for veterinarians by offering programs that can help potentially help with the student debt. When in doubt, seek help where you can, whether that’s with the VIN student debt resource center or calculator, a trustworthy financial advisor, some great resources like the White Coat Investor (including his book and podcasts), etc. There’s help out there! Do you still have a ton of student debt? Did you pay yours off? What are you hints? Comment below! I am currently working for Banfield and picking up extra shifts when I can to pay mine down, lived with family for a while and still living cheap like a student. I plan to be debt free next year just three years after graduation! I calculated the amount of money I am saving in interest by paying it off quick and that keeps me motivated.